Shindig! has established itself as a cutting edge forum and critique of the glories of 1960s and 70s music, film and culture. It is overflowing with TV and film, psychedelia, folk, prog, garage-rock, funk and soul. Contributions from our team of international expert writers ensure that new and intriguing tales about influential artists fill every issue It has positioned itself as the leading UK publication reviewing CD and DVD reissues, giving informed analysis of classic, collectable music and featuring in-depth interviews with artists from the latter part of the 20th Century. Shindig! is distributed globally and has an avid following worldwide! This is for Music and counterculture fans who want more! 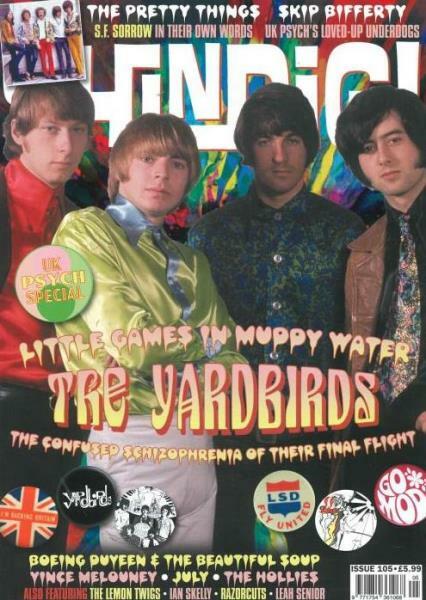 Excellent mag with the material about the 60's of most important to me. Great mag with the 60's material the topic for me.